The number of energy islands and micro-grids 100% independent from fossil fuels is expected to increase in the future. In this scenario, technologies that guarantee the quality of service and its reliability are key. Simris has disconnected the plug. With the LES Project (Local Energy System) E.ON, the German energy giant, involved the inhabitants of a small town into something that tastes as future. As a matter of fact, the energy that feeds the houses, the shops and the life of this small seaside town will no longer be furnished by the national electrical power system, but it will be produced on site, exclusively renewable, without CO2 emissions and available when necessary. The energy is produced by a 440 kW photovoltaic plant and a 500 kW wind turbine; in order to make the energy reliable and available also at night, there is a big battery and an intelligent distribution system. Loccioni took care of the entire storage section by integrating and, indeed, making the lithium ions storage system intelligent, a 800kW battery. Simris citizens will be able to follow consumption trends via web in real time. The innovations implemented at Simris are part of the European InterFlex project, aimed at developing the technology for micro networks and thus encouraging production from renewables. A fair evolution for the Leaf Community that in 2008 had already anticipated the future with its environmentally friendly community and its microgrid, bringing and sharing experiences and knowledge with an experienced and extremely flexible team of researchers, clients, partners. 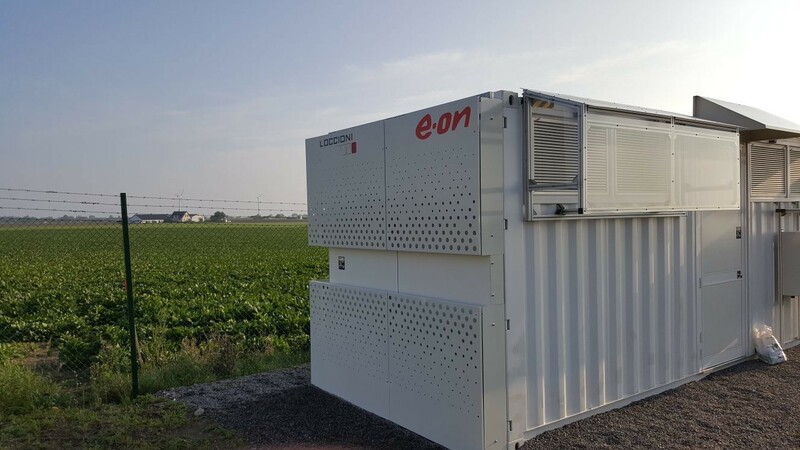 With more than 5,5 MW of installed storages, Loccioni team consists of the most expert energy designers/ innovators in Europe. This project shows a possible development for the smart grid evolution. With the right technology systems and intelligent solutions, at Simris, today we can demonstrate that the future of decentralized, renewable and reliable energy is possible. The most beautiful part of this project is to have the opportunity to create an “energetic twinning” between a small town of the Marche Region and a small Swedish town. The bridge that has been created between the LES and the LEAF projects generates a network made not only of companies, but also of people with the same objective consisting of a sustainable future.